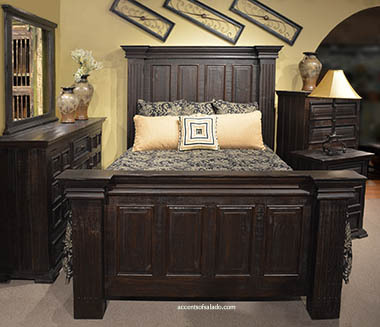 Impressive, rustic and unique, this large bedroom furniture completes a Western, a Southwest, a Tuscan or a Spanish Hacienda look. Few pieces of this scale compare in quality and price. 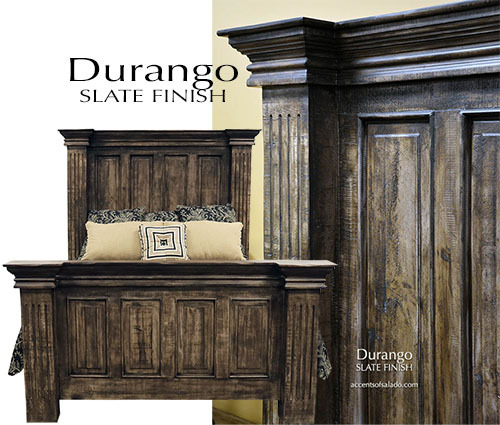 Durango Collection bedroom furniture is hand-stained with a hand waxed finish ideal for distinctive rustic style interiors. This collection includes both king and queen beds.